James has blossomed since joining Sailability. He even has a brass “Captain” plaque on his bedroom door. 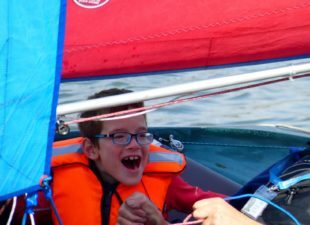 I have been impressed with the Sailability team for their kindness and patience shown to James. This has not only impressed me but also my parents, his Grandma and Granddad. I have benefited a lot from the All-Aboard group. Not only have I been able to gain new skills in sailing, canoeing and kayaking, but I have been able to communicate and work better with my peers and other people, which is something that I definitely needed to improve. Being at Riverside, we spend a lot of time thinking about extremely hard stuff that has gone on for us but All-Aboard allowed me to be distracted from difficult thoughts and feelings that I have been experiencing. All-Aboard has built my confidence which has helped me so much in my recovery. It helped me realise also how physical activity can be fun as well as good for me, so has encouraged me to do more physical activity and I will definitely do water sports again! All-Aboard has been an amazing experience and as well as helping me build confidence and recover, it has also encouraged me to get out and be social and take part in new things. I am very thankful to All Aboard and know that many other young people will benefit from this amazing experience. In 2011 my son discovered a joy in sailing. It came at a time when things were tough for him, and so to find something that he was good at, and where he was allowed to be himself, it was a dream come true. To start with, A enjoyed driving powerboats, but he was soon inspired by Swallows and Amazons to try sailing, and he has never looked back. The fact that the activity enabled A to excel at something outside school did wonders for his confidence, self-esteem and he became a much happier boy. 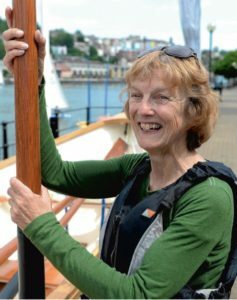 Since then, A has taken part in races, and is looking forward to being able to sail much more complicated boats. In 2015 I became unable to walk, and so I have since been able to discover the joy of sailing for myself. It gave me the freedom that I don’t have at home, and was a welcome break from the stresses at home. It has also become something that my son and I have been able to enjoy together – my son taking me out in different boats. All in all, I strongly believe that our home is a much happier place because of the opportunities offered by All-Aboard, and I would strongly recommend it to anyone considering it whatever their situation. 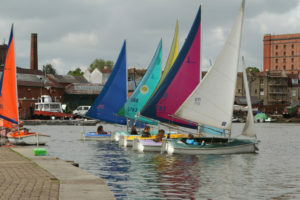 At Kingsweston School we have been working closely with All-Aboard Watersports for 4 years. 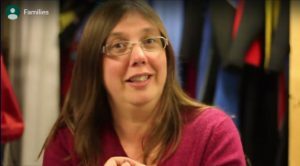 They have given our pupils – all of whom have an Autistic Spectrum Condition (many have additional needs as well) – the opportunity to experience something that would have seemed completely inaccessible to them, and challenge themselves in doing so. 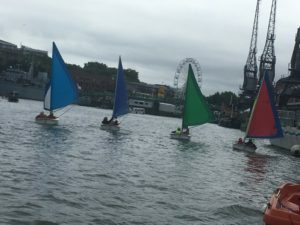 Some pupils have enjoyed the experience of riding in a boat for the first time, overcoming a fear of being on the water – a number of pupils of various ages who were initially apprehensive about going on Aiming High have all found themselves in sailing dinghy’s within 6 weeks. Others have taken the opportunity to take it further and successfully compete in rowing and sailing against other schools – something that they would not have believed themselves capable of doing at the outset of the sessions. A number of our pupils now access the club out of school as a result. 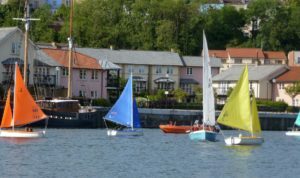 All of our pupils have learnt new skills – be they specific skills relating to sailing or more general skills around following instructions and staying safe around water, and every child we have taken over the years has fully enjoyed the experience and expressed a willingness to return. Each of the activities that we access (sailing, group kayaking and riding on Aiming High) offer something specific and worthwhile to our students – the chance to work as a team or be in complete independent control of a boat. This sense of empowerment, responsibility and independence runs to the very core of what we try to do for our students as a school. Click the Photo to read the article. vital experience and qualifications working with such a variety of individuals, all equally fantastic. activities with all sorts of age groups, School children with special needs and elderly people, no experience required just enthusiasm!. I now volunteer about three days a week, doing all sorts of things as needed and thoroughly enjoying myself, keeping myself fit as well.